Airport Connection is a licensed and insured transportation company located in Port Saint Lucie, FL. For decades, we have been transporting passengers from Port St. Lucie to Palm Beach International and all of South Florida’s airports and seaports. Stress free travel starts with Airport Connection. Our company offers a friendly door to door private car and shuttle service for all Indian River County, Martin County and St. Lucie County residents. The day before your departure date, you will get a confirmation call from our reservation specialist confirming location and pick-up time. We are confident that you will enjoy the journey to your desired destination, as we are only employ the most qualified drivers who are licensed and have passed background checks. What’s important is that they are always focused on your comfort and safety. Our service runs daily to and from Palm Beach International Airport and all surrounding airports – 24 hours a day, 365 days a year. What If Your Flight Is Delayed? No Need to worry. Our team monitors the flight schedule for all of our passengers. We will be there to pick you up whenever you land. A courtesy call to let us know about changes to your schedule is certainly appreciated, but you can’t make the call for whatever reason, we will still monitor your flight schedule. Our company offers door to door transportation to its clients. We pick you up at your home and drop you off at the airport curb. Our drivers will help you with your luggage and can accommodate stops on the way if the schedule permits. Top-notch customer service is our main priority. Our locally owned and operated, family business runs 24/7 365 days a year. Our qualified drivers use sedans and minivans that are available 24 hours a day. When you book your transportation, we will be at your address at the required time. Rides can be a private car or shared shuttle. Right from your home, office or hotel. Our transportation service will pick you up, and place your luggage in one of our spacious vehicles. You also could choose our shared shuttle transportation that is a cost-effective, easy and fast way to get to your desired destination. Airport Connection is a full licensed and insured company that offers shuttles for individuals and groups traveling on business or leisure. We provide a five star rated service thanks to our drivers who are courteous, safe and always on time. Our vehicles are used for business purposes only. 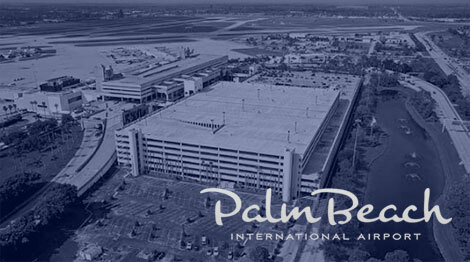 Palm Beach International Airport is a congestion-free and user-friendly facility that is used by approximately six million passengers each year. For domestic flights, an arrival time is recommended to be one hour before departure, and for an international flight, it is recommended two hours. 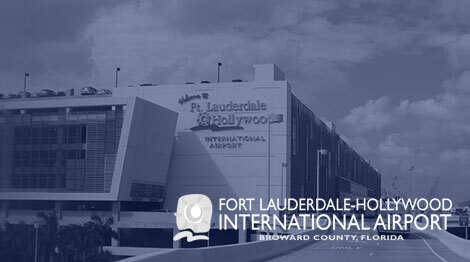 Airport Shuttle Company offers private and daily shared transportation to all Florida travel destinations which include the Hollywood / Fort Lauderdale International Airport. We will get you or your travel group there on time with our daily private ride service. 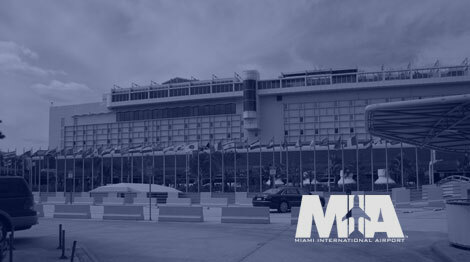 Enjoy your trip to Miami and book your transportation in advance so that you can have a ride that is guaranteed. Whether you are in a group or you travel alone, Airport Connection can fit the needs of any traveler with our non-stop, private car service. 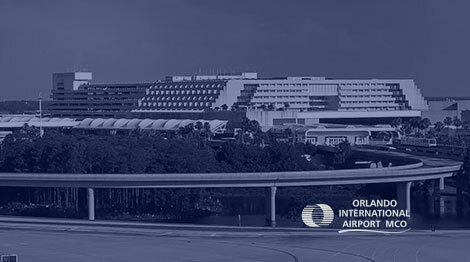 Orlando International Airport is near the most popular tourist destination in Florida. Before you start your trip, make sure to book reservations for our airport shuttle transportation. We will make sure that you breeze your way through the airport and enjoy your trip even more. Our company provides private or shared transportation from Port St Lucie to Orlando International (MCO), Miami International (MIA) Hollywood / Fort Lauderdale International (FLL), and Palm Beach International Airport (PBI). We know this beautiful city so we can take you from a Club Med, around the PGA Village or to springtime week with N.Y. Mets. Airport Connection is dedicated to providing our clients with exceptional shared or private shuttle services at very affordable prices. Our customers can schedule and travel on their own time. When you go to or from Stuart, FL, you can always count on our experienced drivers that will always get you to the desired destination on time. Whether you are traveling to or from Jensen Beach, you should consider taking our shuttle services. Our company will schedule your transportation to the airport or from it, anytime you need us. And we can proudly say that you will enjoy your ride with our most qualified drivers because they are always thinking about your safety and comfort. Another city we serve is the Palm City, one of our favorite towns. If you need to travel to or from this town, make sure you contact our company and book your next airport shuttle transportation. That way you don’t have to worry about getting home or your meetings on time. As a part of their vacation, many locals or tourists choose to travel from this city to various destinations in Florida. Our company offers two types of transportation, shared and private. Our qualified drivers will get you to your desired destinations such as Orlando International Airport, Palm Beach International Airport, and others. Airport Connection transportation service is here for any person who wants to travel to or from this city. You will get a confirmation call from our team the day before to your departure date confirming location and pick-up time. Private or shared runs are available 24/7 to all major airports from the Hutchinson Island. If you are traveling to or from St. Lucie West, you should consider reserving your private or shared shuttle transportation to your destination. Our qualified drivers will pick you up at the requested time and get you to the airport so that you won’t be late for your flight. This master-planned community in Port St. Lucie is a place that is visited by many travelers. If you are planning to visit it, you should consider booking your private or shared shuttle transportation for you or your group and leave us to take care of your ride. Our experienced drivers will get you on any desired locations on time. Totally reliable..always on time. Drivers are kind courteous and good drivers. I would highly recommend Airport Connection to anyone! They are a great company that care about their clients. Gina is very personable and always willing to help. You won’t be disappointed. My company recently used Airport Connection for three meetings involving about 30 participants. Our needs involved transportation from the airport to the resort and back. They were more affordable than a taxi or Uber and much more comfortable. The drivers were friendly and professional. I highly recommend their service! Sing up now and get 10% off round trip coupon!